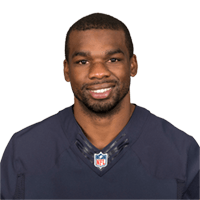 Published: Nov. 22, 2016 at 03:44 p.m.
Chicago Bears defensive back Tracy Porter intercepts Houston Texans quarterback Brock Osweiler. Published: Aug. 18, 2016 at 08:58 p.m.
New England Patriots running back Brandon Bolden fumbles the football after nearly scoring a TD. Published: Nov. 26, 2015 at 11:33 p.m. Published: Nov. 9, 2015 at 09:22 p.m.